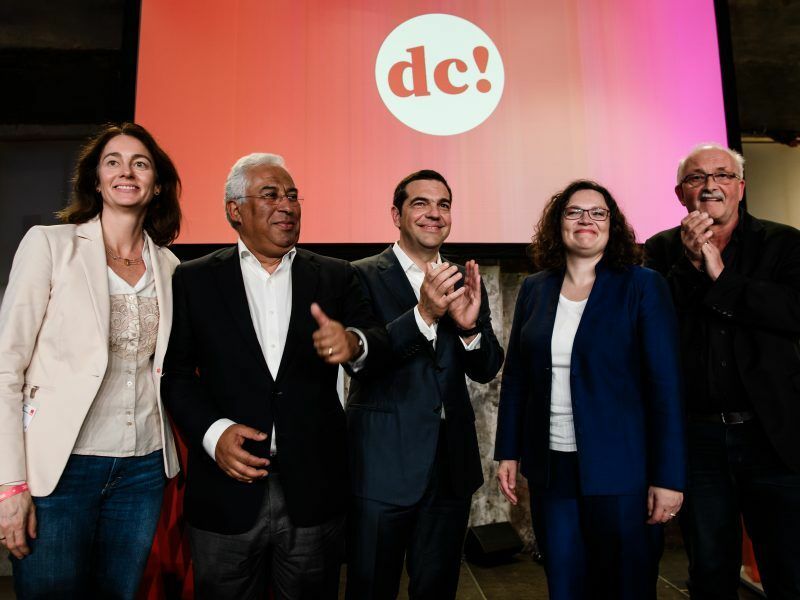 On 11 November, the German Social Democratic Party (SPD) organised a conference, where Tsipras was invited. Speaking at the conference, Tsipras said Social Democracy and the Left had to walk together on the basis of a progressive 21st-century project in Europe. “All the progressive forces in Europe, left-wing, socialist, social-democratic, ecological forces must today realise that Europe, our common home, is facing a high risk and so we have to put aside our differences, we must walk together to save our home,” Tsipras emphasised. In recent months, the discussion has heated up about a possible collaboration among “progressive” forces before and after next May’s EU elections. On 27 November, the Progressive Caucus, an informal group of EU lawmakers from S&D, Greens and GUE-NGL, is organising an event at the European Parliament, where all party leaders will sit on the same panel for the first time. The Pan-Hellenic Socialist Movement (Pasok) and the Potami are the official members of the S&D in Greece while ruling Syriza party is affiliated with GUE-NGL. However, Tsipras is always invited as an observer at the pre-summits of the European Socialist Party (PES) and was significantly backed by socialist leaders during the tough bailout talks and the migration crisis. But his Syriza party has ruled out joining the socialist family. Tsipras’ presence at the SPD conference irritated the Greek socialist party (Pasok), which blamed him for being politically inconsistent. Venizelos, who was also former deputy prime minister of Greece in a coalition government with the centre-right New Democracy (EPP), added that it would be “European shame” if the EU socialists were to collaborate with Syriza ahead of the EU election. Asked to comment on Pasok’s stance on the issue, Bullmann made it clear that the vision for a better Europe required open doors for collaboration. “In our S&D group I work very closely together with our friends from Pasok and To Potami, and I also met Alexis Tsipras at the SPD Debattencamp last weekend […] For the future of Greece as much as for the EU as a whole, let me underline that, beyond party labels, it is the right ideas that matter,” the German politician told EURACTIV. Bullmann explained the S&D was fighting for a radical transformation of the current economic and social models so that all Europeans can prosper in equality “and we have set out a clear vision for that”. “We will no longer talk about the economy without talking about the environment. We will not talk about the environment without taking into account the social dimension as well,” Bullmann noted. “This approach towards more sustainability in all areas is the only way to put an end to problems like youth unemployment, child poverty or to the exploitation of our soils,” he added. 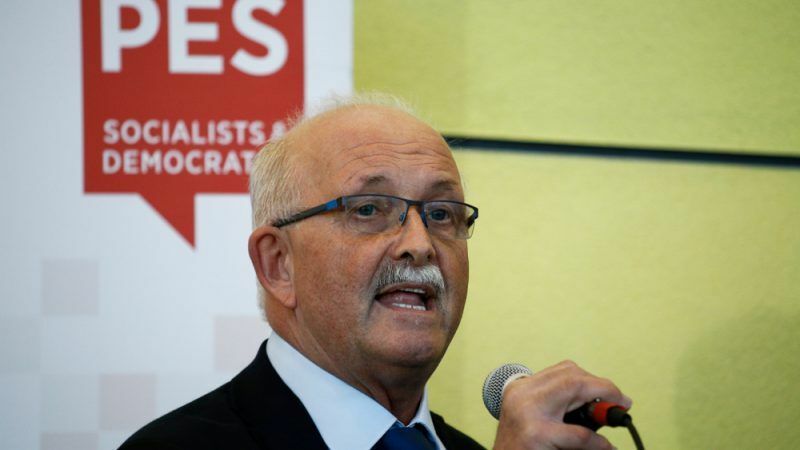 “This is our vision for a better Europe – and we try to gain the broadest support possible for it,” the S&D chief concluded in comments that will probably resonate well with their potential allies from the Greens. Pasok and Potami had formed the “Movement for Change”, which aimed at representing the centre-left pole in Greek politics. However, several months later, the Potami left the movement, which then broke up due to a disagreement on the name deal with neighbouring Macedonia. Pasok opposes the name deal between Athens and Skopje while the Potami is supportive, as is the S&D group. 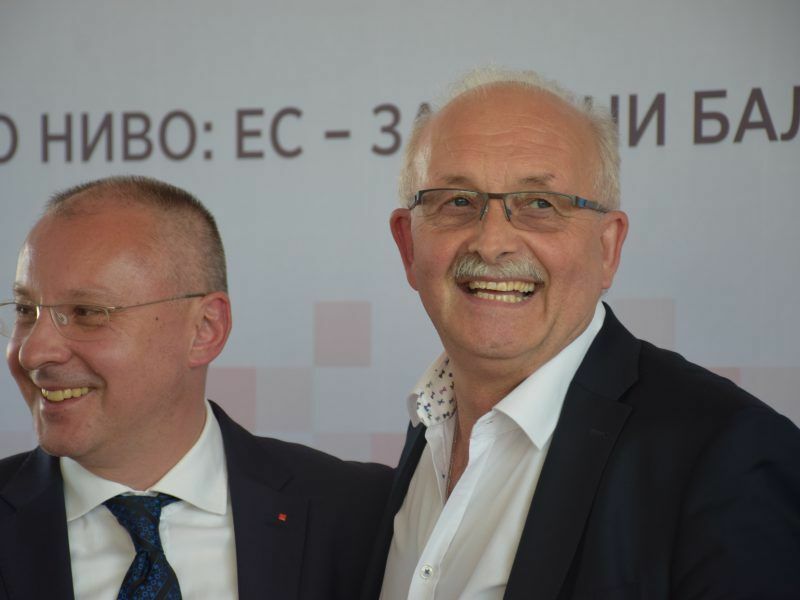 “Udo Bullmann correctly understood that the vision of a better Europe requires open doors for collaboration. On the contrary, all those who oppose this vision are offering bad service to the common goal of a united Europe,” Danellis added. The Socialists and Democrats group (S&D) continue to criticise the negative stance of center-right opposition parties in Athens and Skopje towards the landmark name deal but also turn a blind eye to their member party in Greece, which disapproves of it.